Today more and more companies are engaging in overseas projects. Quality performance often hinges on the successful deployment of personnel. In parallel, the location of many projects are in developing countries that by definition are in dynamic states of flux. Host nation immigration and labor laws are often complex and if not handled properly can result in personnel relocation delays as well as fines and penalties. Thus it is vital that companies operating overseas understand host nation immigration and labor laws and ensure deployed personnel meet all the necessary requirements and maintain compliance throughout their overseas posting. MEBS has over a decade of experience operating in developing regions and is equipped with the necessary expertise to advise and provide solutions for all immigration related issues. We have a trusted proven record of navigating our clients through this ever changing labyrinth of immigration and labor laws. 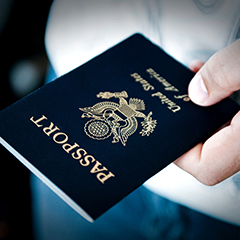 MEBS provides a variety of immigration services, including assistance with local sponsorship, work permits, as well as short and long-term visas required to comply with host nation laws. MEBS can also assist with visa cancellation and transfers. Our experienced sponsorship specialists work with government authorities from both the host nation and relevant foreign government officials to ensure that all necessary work permits, residence permits and visas are approved and in good standing. Our mission is to ensure that our clients remain compliant with all local immigration and labor laws and reside in country legally. Additionally, MEBS can customize immigration strategies to ensure the required processes are established and underway prior to personnel deployment. Optimally, MEBS is available to work hand in hand during the contract bid process, keeping our clients up to date on the latest, required figures and compliance regulations. At MEBS, our customer service team is always willing to listen and address all your issues. With our 24/7 helpline service, our expert staff ensure that your concerns will be promptly handled under the direct supervision of our executive management.